The movie Frozen revolves around sisters Elsa and Anna, and the secret Elsa has carried most of her life. Elsa was born with the power to create winter weather and freeze things. As children, she and Anna would play winter games until the day Anna got hurt by Elsa’s power. The girls’ parents, the king and queen of Arendelle, took Anna to the trolls and grandpa (or pabbie) troll healed her. When he did so, he wiped away all memories of Elsa’s powers. The king and queen embarked on a two-week journey but never returned after their ship was lost at sea during a storm. During the festivities, the younger and impulsive Anna, (who’d been starving for connection and friendship since being isolated from Elsa, fell in love with Prince Hans from the Southern Isles and accepted his marriage proposal. Elsa refused to give her blessing for the marriage, and her power was accidentally revealed when she lost emotional control as Anna kept pushing to know why. Elsa was branded a monster by the scheming Duke of Weselton. She ran away to live on her own, not realizing that her powers left Arendelle in eternal winter. We’re going to interrupt the story here to watch the clip of the song “Let it go.” This is the moment when Elsa decides to embrace her secret. Watch the clip here. That’s a great, catchy song. It makes me feel like singing along. There’s in one problem; it’s full of terrible advice. Elsa embraces her secret in decidedly unhealthy and unhelpful ways. At a trading post, Anna meets an ice harvester named Kristoff and his reindeer, Sven. She gets Kristoff to lead her up the mountain to find Elsa. Along the way, they meet a snowman named Olaf who was brought to life by Elsa. He offers to lead them to her. Meanwhile, in Arendelle, Hans is caring for the people during the intense cold. When his horse returns without Anna, he recruits volunteers to help him find her. Weselton offers his two henchmen and gives them secret orders to kill Elsa. When the initial search party finally makes it to Elsa’s ice castle. Anna tries to coax her to return to Arendelle, but Elsa refuses saying that she belongs where she can’t hurt anyone. Anna recalls how close they were as children, but Elsa only remembers the night she hurt Anna. Elsa tells her to go back and he safe and happy in Arendelle and then learns that she’s caused an eternal winter there. Anna says they can reverse the winter, but Elsa only sees trouble and fear. Just as she did at the coronation, Anna keeps pushing Elsa until Elsa lashes out emotionally and unintentionally hurts Anna by freezing her heart. When Anna still doesn’t want to leave, Elsa creates a yeti to scare off Anna and her party. Grandpa troll reveals that he cannot heal Anna’s frozen heart. It will take an act of true love to do it. Kristoff takes off back to Arendelle so that Hans can kiss Anna and her heart can be healed. He gets her back to Arendelle, locks her in a room, and implores her to stop winter and bring back summer. Kristoff is racing back to Arendelle with Anna. He takes her to the castle so Hans can kiss her and heal her heart. However, Hans’ true colors are revealed when he confesses that his marriage proposal was a ruse to get an inside track to the monarchy. He tells everyone that Elsa killed Anna and that he needs to be the hero and kill Elsa and end the winter. Kristoff notices that the weather in Arendelle is getting worse and races back to find Anna. As a storm grows in intensity and ferocity, Hans finds Elsa and tells her Anna is dead because of her. She falls to the ice and storm stops. Just as he is about to kill Elsa, Anna summons the strength to put herself between Elsa and Hans’ sword. She turns to ice, the sword breaks, and Hans is repelled. In tears, Elsa throws herself onto her sister’s frozen figure. This act of true love melts and heals Anna’s frozen heart. It’s revealed that love is the key to controlling Elsa’s power. Everyone, except Hans and Weselton, lives happily ever after. Now, let me summarize the movie in a way that helps us understand what we’re talking about this morning. Elsa has a secret and keeping it hidden endangers her and others. She cannot control it on her own. She must own it and surrender it to someone who loves her and wants what’s best for her. Does that sound right? Now, let’s see what we can learn from this story. We try to keep hurts, habits, and hang-ups a secret, whether they’re of our own making or the result of someone else’s choices. We try to pretend we’re in control. We’ll even isolate ourselves from others if that’s what it takes. Because we can’t control things the way we’d like to, we often find ourselves moving through the same cycle again and again. We feel guilty about our behavior and wish we could get ourselves out of the mess. 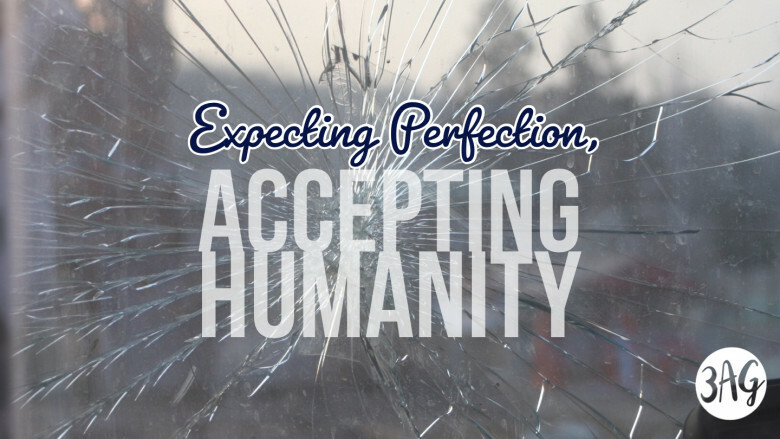 As the failed attempts pile up, we get angry…at ourselves and others. As our anger festers, we begin to fear that things will never change. As we slowly accept that our hurts, habits, and hang-ups are controlling us, we slide into a depression. We feel sorry for ourselves and the guilt kicks in all over again. To overcome this cycle, we must decide to quit and start letting go of our attempts to control life. Letting go is the third of the eight choices we need to make to to deal with our baggage (our hurts, habits, and hang-ups) in a healthy, productive and godly way. Here are the choices we need to make. Today, I want to modify choice three a bit. I want us to know that we need to let go and let God. Last week, I shared this invitation from Jesus that is still good for today: Come to me, all you who are weary and burdened, and I will give you rest. Take my yoke upon you and learn from me, for I am gentle and humble in heart, and you will find rest for your souls. For my yoke is easy and my burden is light, (Matthew 11:28-30, NIV). This is an invitation to let and let God call the shots. What keeps us stuck in the cycle I mentioned and keeps us from responding to Jesus’ invitation? Let me offer five possibilities. Have you ever felt that? Have you ever felt ashamed to look up? Guilt can make us ashamed to let go and let God. Maybe you’ve tried to make deals with God: “God, if you’ll just get me out of this mess, I will never do it again!” Now you’re embarrassed to ask Him for help because you did it again. But please understand that he wants to forgive all your guilt. That’s why Christ went to the cross! Maybe we’re afraid of what we might have to give up if we let go and let God. Part of our control issue is the fear of losing our freedom. But do you know what real freedom is? True, lasting freedom is choosing who or what controls you. What are you afraid of? What are you holding on to that makes you think, I can’t let go? Is it a relationship, an ambition, a habit, a lifestyle, a possession? When you choose to let go, God takes what you give Him, cleans it up, and turns it around. He adds new meaning, new purpose, new significance, and new vitality to your life, and He gives it back to you in a whole new way. Don’t worry about the specifics of what you may have to give up. If you focus on the specifics, you’ll never make the most important decision, which is taking the step toward a personal relationship with Jesus Christ. Worry makes us confuse the decision-making process with the problem-solving process. If we focus on the problems to be overcome, we may never decide to let go and let God. Worry imports tomorrow’s possible troubles and robs us of today’s strength and perspective. Worry is deceptive and defeating. Have you ever thought, I want to believe, but I don’t have enough faith? It’s not the size of your faith that matters; it’s who you put your faith in that matters. You can have giant faith and put it in the wrong people and things and come up empty. Or you can have a little faith and put it in our big God and see him do amazing things. The Christian life is a decision followed by a process. All this third choice is asking us to do is make the decision. The process will follow! It all begins with the decision to let go and let God. How do we do that? Accept God’s son, Jesus, as your savior. Accept God’s word as your standard – a manual to live by. Accept God’s will as your purpose. Accept God’s power as your strength. The Apostle Paul wrote, “I can do everything through Christ who gives me strength,” (Philippians 4:13, NLT). We find more words of invitation from Jesus in A – Look! I stand at the door and knock. If you hear my voice and open the door, I will come in, and we will share a meal together as friends. Are you willing to let go this morning? Are you willing to lay aside your pride, guilt, fear, worry, and doubt? Are you willing to give God your guilt, fear, anger, and depression? He’s knocking, are you willing to open the door? If you are, I invite you to come up front this morning, invite Jesus into your life, into the situation(s) you are trying to control and allow him to call the shots.